Has it ever happened to you that you are trying to transfer some files from your iPhone to Mac and it won’t stop from connecting and disconnecting? Having an iPhone or iPad can be troublesome too. Many people encounter this problem that their iPhone or iPad keeps connecting and disconnecting. This is a common problem and can be solved if properly taken care of. Why does it happen? It may happen when your Apple devices connection with Mac Book or Windows is not complete. Due to an incomplete connection every half of a second the iPhone keeps connecting and disconnecting from Mac or Windows. Stop worrying because you have stepped into the right place where in seconds you will be able to know how to solve it on your own. 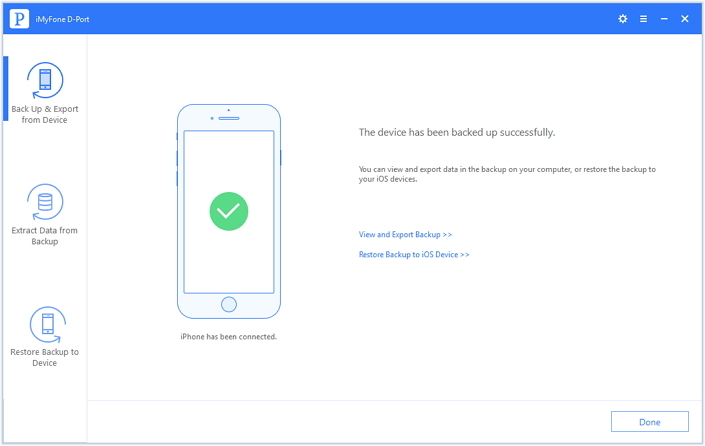 If your iPhone keeps connecting and disconnecting by USB, then the first step before getting into the solution is to back up your iPad or iPhone. It is strongly recommended to prevent from data loss. There are more than 700 million iPhone and iPad currently used by people around the world which have increased data theft and related problems. 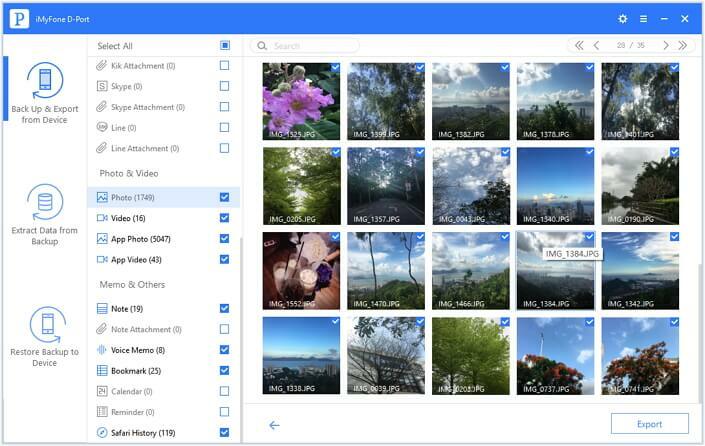 Many of the users are not even aware of such apps and technologies that can help them in saving their data in a protected place and also for recovering it. iMyFone D-Port is a new technology that helps in data transfeing. This tool is easy to use and do not require a lot of your time. It backs up the whole device data like pictures, WhatsApp messages or contacts etc. It helps in previewing and extracting the data from the iTunes and iCloud backup files. You can directly export the data from the iOS device. 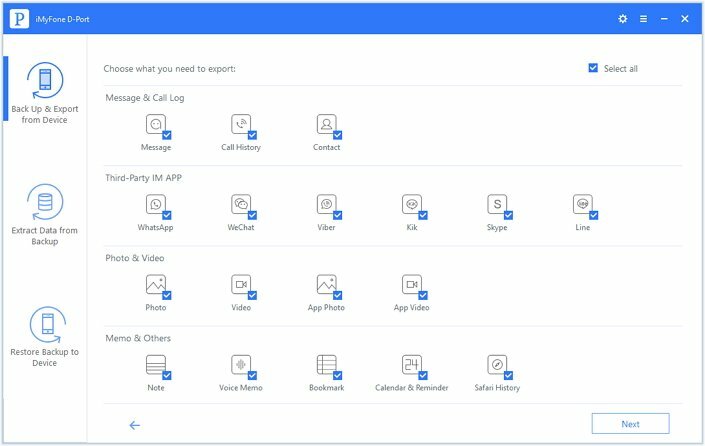 Before getting into the solution of iPad keeps connecting and disconnecting, you need to extract data from iPad or iPhone. Here is the procedure for exporting the data from your iDevice without iTunes. Download and open the iMyFone on your iPhone or iPad and click on the Back Up & Export from Device. After that, click on the option of export data. On the screen, all of the data of your phone will appear from which you can select the data you want to export. Click Next to continue the procedure. After the scanning is complete then export the data. 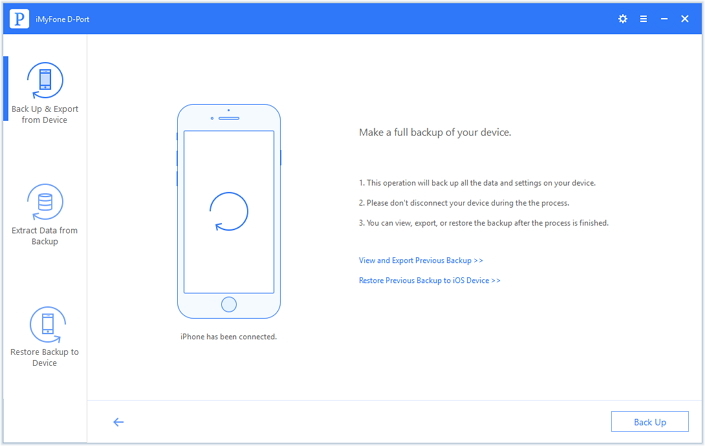 You can also make a full iPhone and iPad backup by following the procedure step by step. Open iMyFone on your device and click on the Back Up & Export from Device. Choose the option of full back up on your screen. Press Back up and it will start to back up your whole device data. Once completes, you will receive a notification regarding the successful backup. Here is the procedure for only backing up important data like WeChat/WhatsApp/Messages from. Open iMyFone on your phone and click on the Back Up & Export from Device. 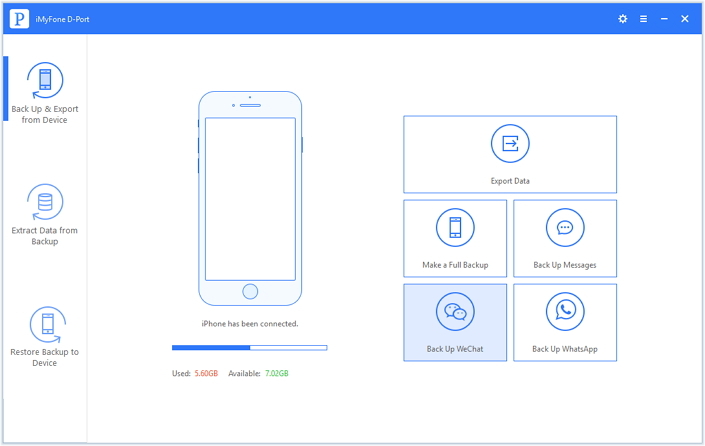 Click on the back up of WeChat messages. Click Back Up and the program will automatically back up your WeChat data. After backup, you will be informed of its successful completion. The above procedure is exactly same for messages and WhatsApp messages. You just have to choose them on the 2nd step and the whole procedure remains the same. 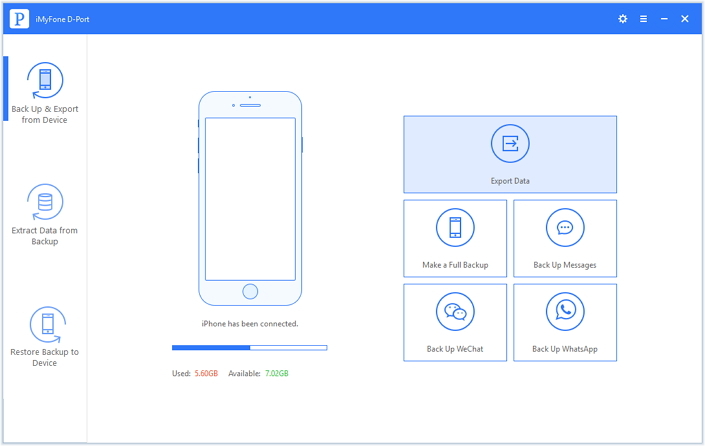 It is recommended that for backing up your important data like WeChat/WhatsApp/Messages via this iPhone data exporter. If your iPhone/iPad keeps connecting and disconnecting, then there are 4 ways for you to easily solve this in a slight amount of time. 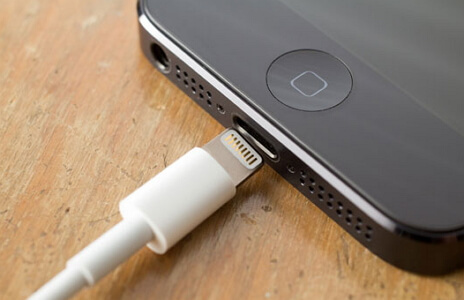 Here are the steps for this procedure if your iPhone keeps connecting and disconnecting USB. Get another USB cable and connect it to your device. Plug the cable in the USB port. If it connects the problem is solved, there was an issue with your previous USB cable. 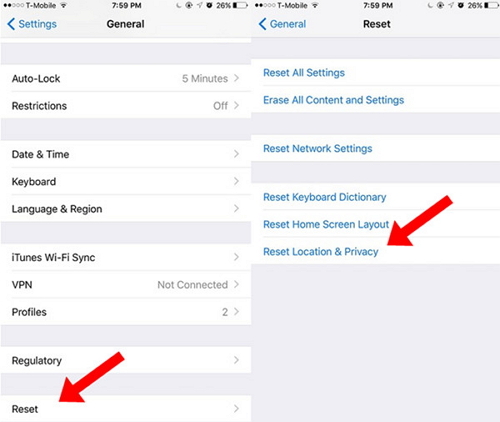 Here are the steps of restarting your iPhone or iPad. Press and hold the top or the side button of the iPhone or iPad. A slider will appear for turning or restarting your phone. Drag the slider for turning it off completely. After the device is off, press and hold the top or the side button to on the phone. 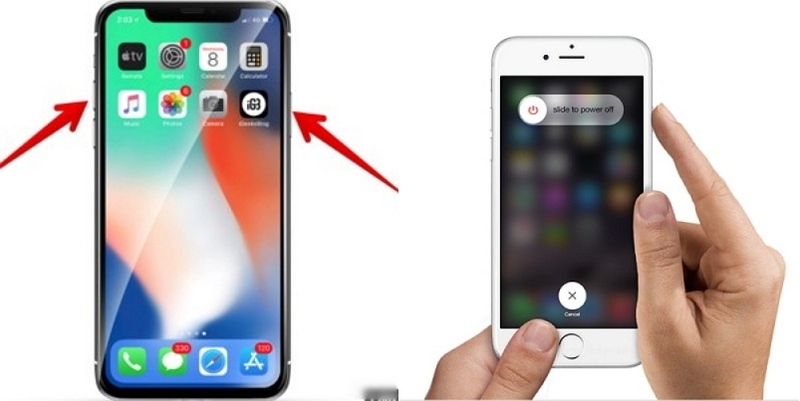 By the below procedure you will be able to reset location and privacy settings that can be a solution to your problem if your iPhone keeps connecting and disconnecting from Mac. Open the settings icon of your iPhone. Click on the general settings and choose the option reset. Tap the reset location and privacy. By doing so your phone will ask for your passcode. Enter the passcode to finish the reset procedure. If the problem of iPhone keeps connecting and disconnecting persists, then go to an Apple store for a checkup. They will surely tell you whether there is any other problems and help you in solving it. 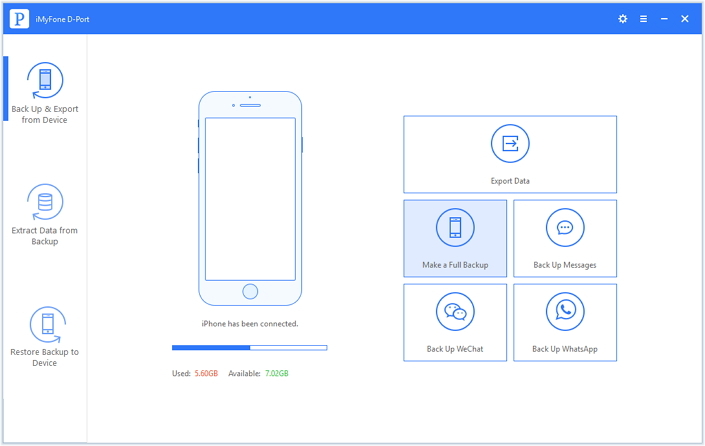 For the problem of iPhone keeps connecting and disconnecting from Mac, above are the 4 ways that are easy and legit solutions which will help you out. You can try the procedures on your own as they are simple and easy to understand. Feel free to comment and share your experiences and let us know if this article is helpful for you or not.